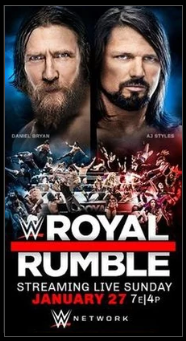 The Royal Rumble is always one of the most complex matches of the year as WWE attempts to balance interweaving 30 Superstars together in a crossover of brands, feuds, pushes and stories over the course of an hour. While there is always an expectation that anything can happen, the writers have taken to several tropes that seem to apply to almost every Rumble in some fashion or another every year. This goes beyond the standard hype for returning legends, surprise entrants and who will outlast the competition, and it expands into smaller details, such as WWE‘s tendency to book babyfaces in the No. 14 spot—only three heels in the past 13 years.